Grave : Plot I. Row N. Grave 6. 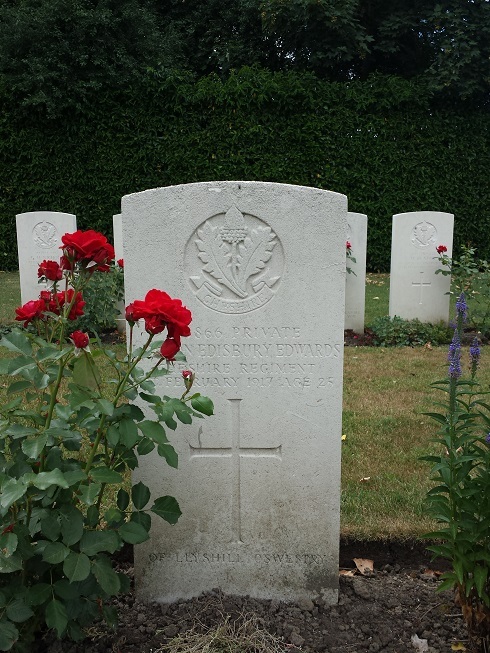 Lawton Edisbury Edwards was a son of Thomas Edwards, J.P. and Elizabeth Jane Edwards, of Llyshill, Salop.